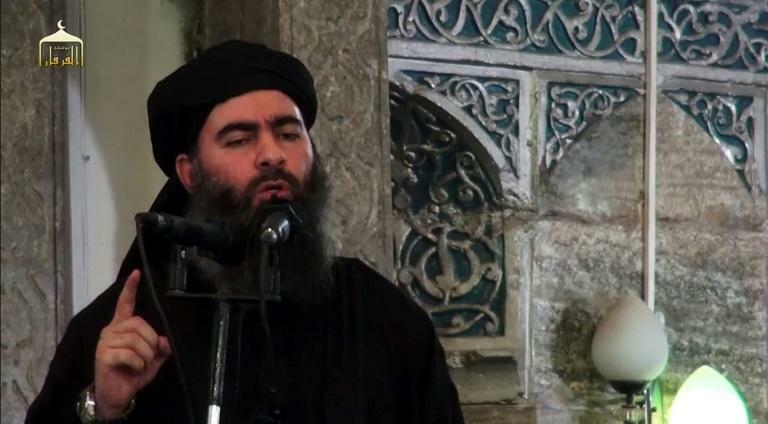 The US-led coalition said Thursday the leadership of the Islamic State group was now "irrelevant" after IS issued an audio message it said was by its chief Abu Bakr al-Baghdadi. Coalition spokesman Colonel Sean Ryan's statement came after Baghdadi called on Muslims to wage "jihad" in the purported recording released late Wednesday. "He's been rendered useless and ineffective, so we're not too concerned by any comments coming from ISIS leadership," Ryan said, using another acronym for the jihadist group. His last purported message was released in September 2017, shortly after forces backed by the US-led coalition expelled IS from its de facto capital of Raqa. "We believe his leadership is irrelevant," Ryan told journalists in a conference call. "We're focused on defeating the last remnants of ISIS, so whether he is around or not doesn't really matter." IS overran large swathes of Syria and neighbouring Iraq in 2014 and proclaimed a "caliphate" in territory it controlled, but has since lost most of it to various offensives. In Syria, IS fighters still hold a pocket of territory in the eastern province of Deir Ezzor, and are present in the vast desert stretching from Damascus to the Iraqi border. In Deir Ezzor, Russia-backed regime forces have pushed back the jihadists to the west of the Euphrates River, while the Syrian Democratic Forces, a Kurdish-Arab alliance backed by the coalition, have fought them on its eastern banks. Ryan said the SDF were now preparing to expel the jihadists from their Deir Ezzor holdout, though no ground offensive had yet started. "We have our mission and that is to defeat them in the lower Euphrates River Valley and that is what we're going to do," he said. The SDF have for months been trying to expel the jihadists from the pocket, which includes the town of Hajeen. "It has taken a while because ISIS has left behind hundreds of improvised explosive devices, which slows progress," said Ryan. Other priorities included properly preparing fighters and "making sure that the civilians can get out without being harmed", he said. In Wednesday's recording, Baghdadi threatened the United States and Russia with "horrors", and said that "IS is not confined to Hajeen". Despite setbacks on the battlefield, IS has retained its ability to carry out large-scale attacks, including one last month in the southern province of Sweida that killed more than 250 people. But Ryan said the group was "down to their last fighters". "They're looking for spectacular attacks that make themselves seem relevant when really they're militarily defeated almost, except for the area that we're about to go into," Ryan said.